Pin down on the excess fabric and draw a line with permanent marker leaving 1 cm for the seamline..
Repeat on the other side. To math the other side, use the excess fabric from the previous side and pin it down. 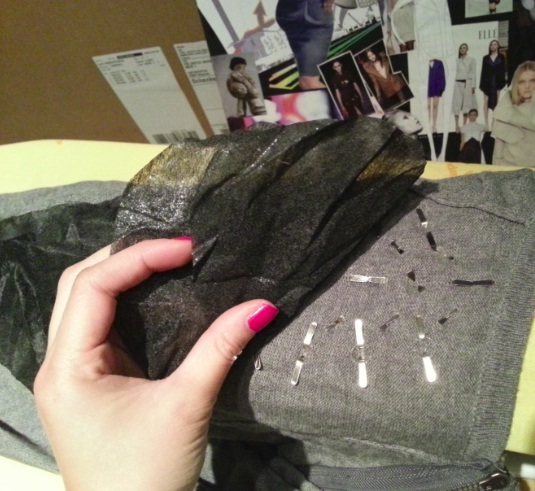 Reverse your fabric and sew the pieces together. 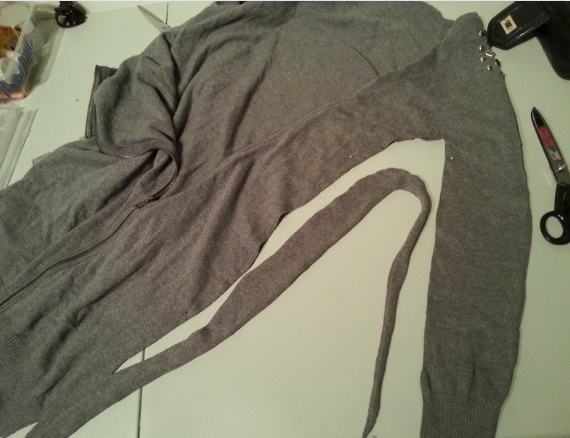 The rule with tricot is to sew ZIG-ZAG because it’s an elastic fabric. Finish with overlocking the seamline. Now over to the studs, I have these studs with pins on the backside…Add these on the shoulders or anywhere else you like. With tricot it’s very easy as the fabric already has holes in it so you don’t need to damage the fabric. 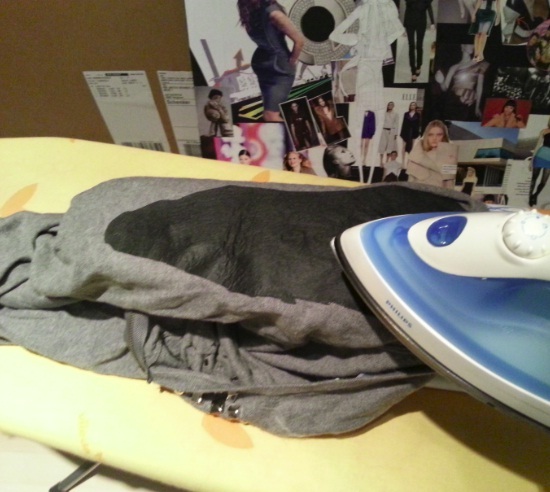 To protect your skin while wearing it, iron ”vlieseline” on the fabric. ”Vlieseline” is used to strengthen the fabric and has an adhesive side . I’ve cut out 2 layers because the one I bought is from very thin quality. Don’t hold back to buy clothes with a bigger size, there’s always a way to make it your style!